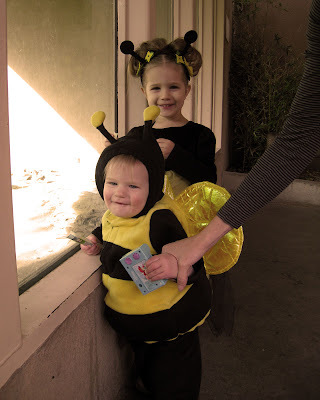 The Saturday before Halloween we went to the Hogle Zoo's annual "Boo at the Zoo." It is a very fun event. 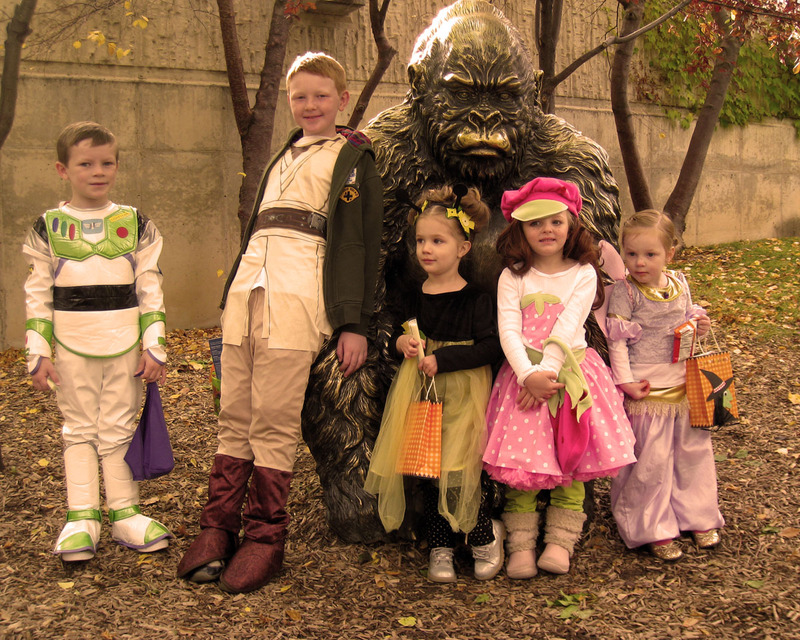 Kids (and even some adults) come in costume and can trick-or-treat at candy booths set up throughout the zoo. 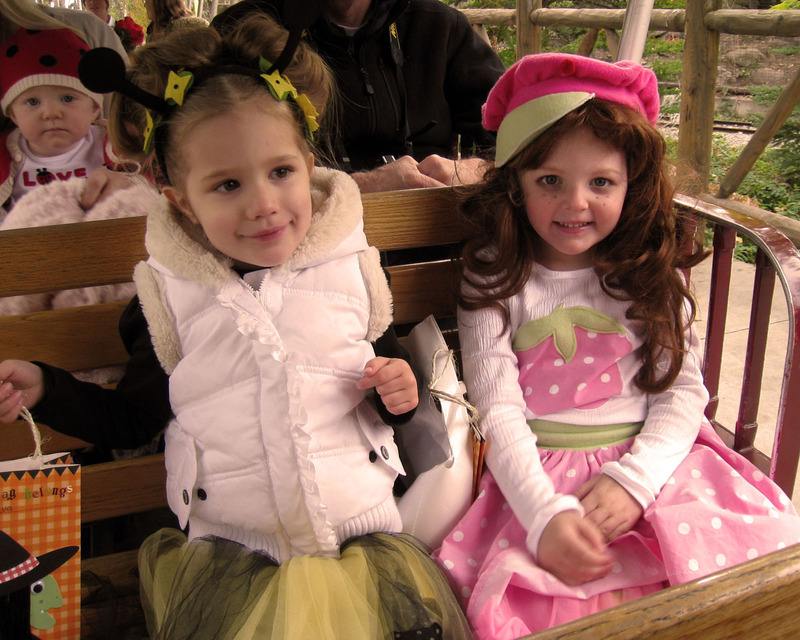 We started the day going on the zoo's train which is always a favorite with the kids. Here are Ava and Annissa with baby Kat in the seat behind them. 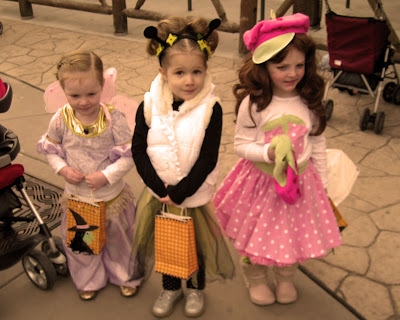 Ava was so excited to spend the day with her two best friends, Sophie and Annissa. She was also quite excited to see Betsy and Owen, although she was not quite sure what to think of their very festive costumes. Here are the older cousins stopping a moment for a picture. Sadly we didn't get that many pictures of Christian or the littler cousins who had to be contained in their strollers during much of the zoo trip. 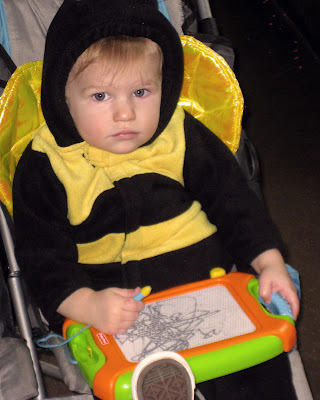 Luckily, Christian was happy (though you can't tell looking at this picture) drawing on his magna doodle. 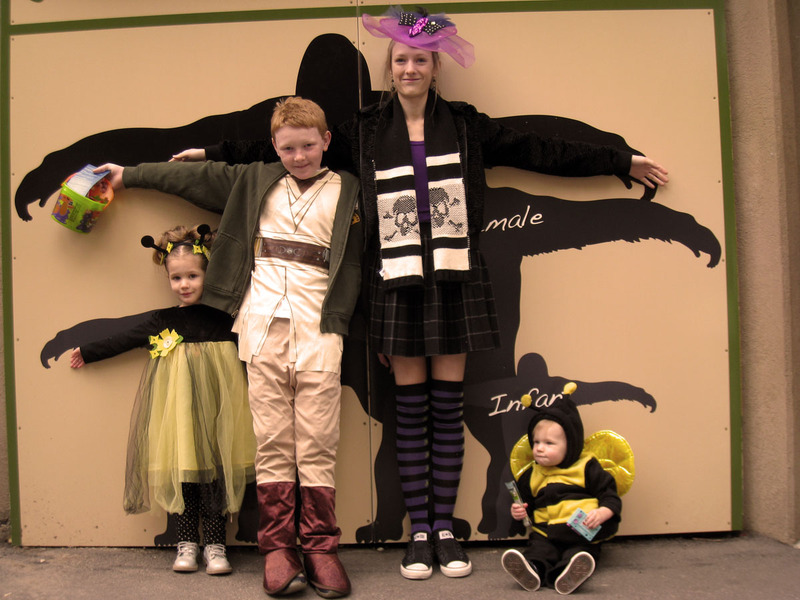 Here Ava, Luke, Maddie, and Christian measure their heights against the gorillas. Christian and Ava look in at the gorillas. We had such a fun time trick-or-treating at the zoo and can't wait to go next year! Looks like fun! Annissa's wig totally looks real. I was confused for a second. 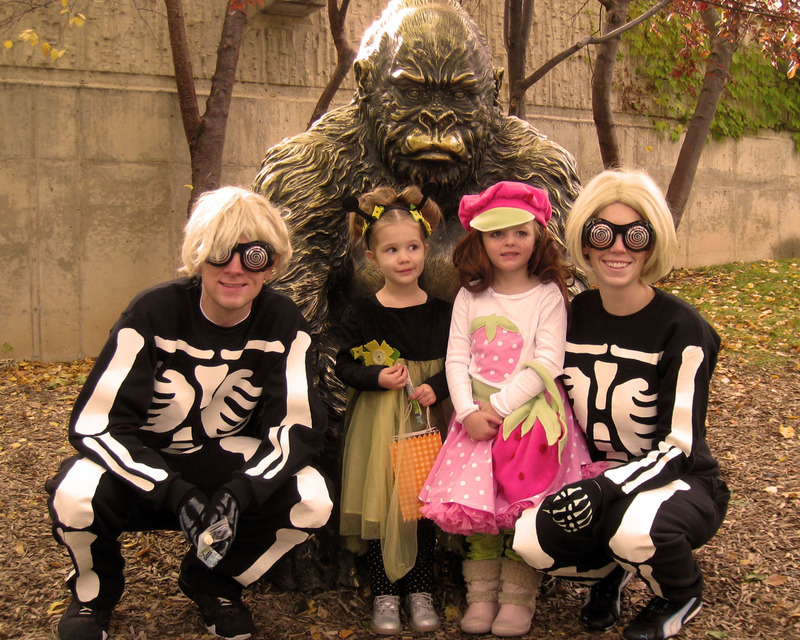 Also Maddie really looks like Krista in the gorilla picture. Maybe I am just having some identity issues. 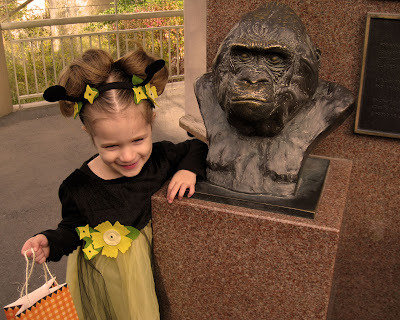 Maddie is finally as tall as a gorilla! !